After the week I had no one can tell me that you don’t have time to work on your own business, work a 9-5, and have a social life as a millennial with no children. I was very mindful of what I fed my mind this week. Matter of fact this past week was one of the most productive weeks that I’ve had in a LONGGGGGGGG time. It started with an email that I received from Monique Malcolm on Monday morning. I was introduced to Monique via social media, and invested in her Visionary Journal a year ago. 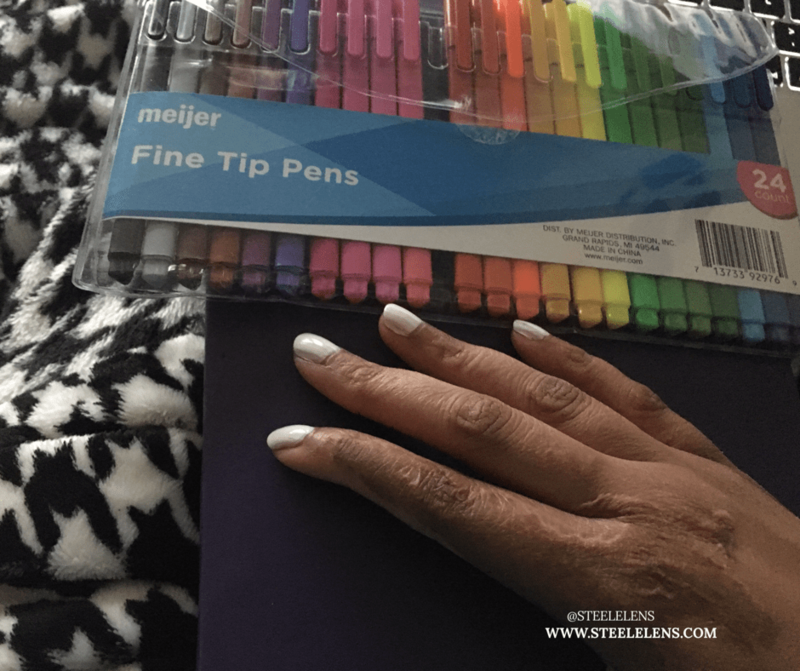 The subject line read, “Start journaling in as little as 5-minutes a day.” The subject immediately caught my attention, but I became engaged in the content once she broke down what I needed to do every single day. I found a reason to journal everyday since Monday, and then I began to pick up momentum. That’s right, I began CRUSHING MY GOALS all because of one email on Monday that allowed myself to be held accountable for my daily actions. I have to journal at least five times a week (weekdays; morning and evening) with actionable tasks for the day. I must delegate tasks to others. I am a one woman show but the quickest way to be burnt out is doing everything by myself. Be social. This goes for my personal and professional life. Step outside of your comfort zone to broadcast who you are from time to time. Meet new people, and engage your audience. I went LIVE on my personal Facebook page on Friday during a radio interview, and I had so much fun. Why? I have a larger audience on my personal Facebook page, and I don’t always show them the love that they deserve. This week I’m going to continue to journal with my new pens, and dream in color (using my new pens). Write the vision down. I can never say that enough. Make it plain! Acknowledge those that continuously support you. They believe in you, and want you to be great. I’m listening, and I’m still pushing for more great content in the future.